HAMBURG, GERMANY - AUGUST 23, 2014: Aerial view of Hamburg with the town hall and two churches. St. Petri is Hamburgs oldest church. 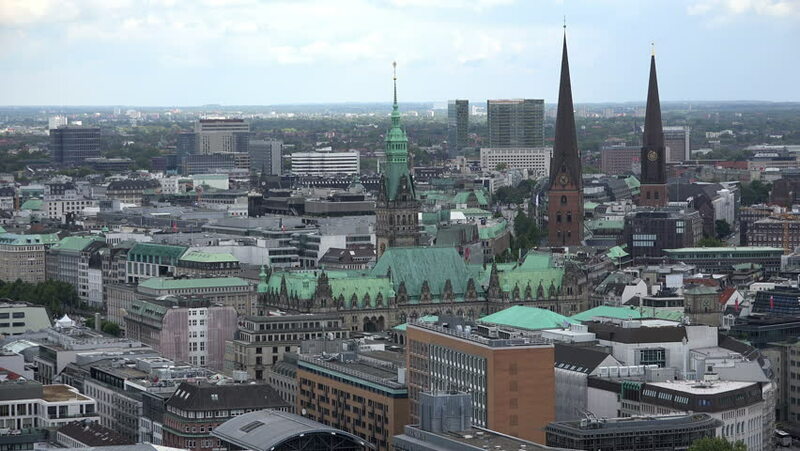 hd00:20HAMBURG, GERMANY - AUGUST 10, 2018: Aerial view of Hamburg with the town hall and two churches. St. Petri is Hamburgs oldest church. 4k00:17Beautiful aerial view of Malmo city in Sweden from above. Amazing city skyline view. 4k00:15London western side aerial view with City skyscrapers. hd00:10Munich, BAVARIA/ GERMANY - October 28 2015: Cityscape of Munich, historical part next to Marienplatz and Viktualienmarkt. View from top of the town hall.